What Is the Nintendo 3DS? The Nintendo 3DS. Is it a DS, just in 3D? Is it an entirely new thing? What's the deal? In an era of multifunctional smartphones, the 3DS mostly attempts to do one thing well: Play games. At its most simple, it's the sort of Nintendo portable you know and love: a gaming console for your pocket. The 3DS' pièce de résistance is its 3D screen—now widescreen, perhaps a standard 16 x 9—a component we believe to be made by Sharp. And don't worry, it won't require you to wear silly glasses on the subway. Instead, it uses parallax-based technology to create the illusion that the graphics and characters are popping out from the screen. (You can read more about that screen technology here. 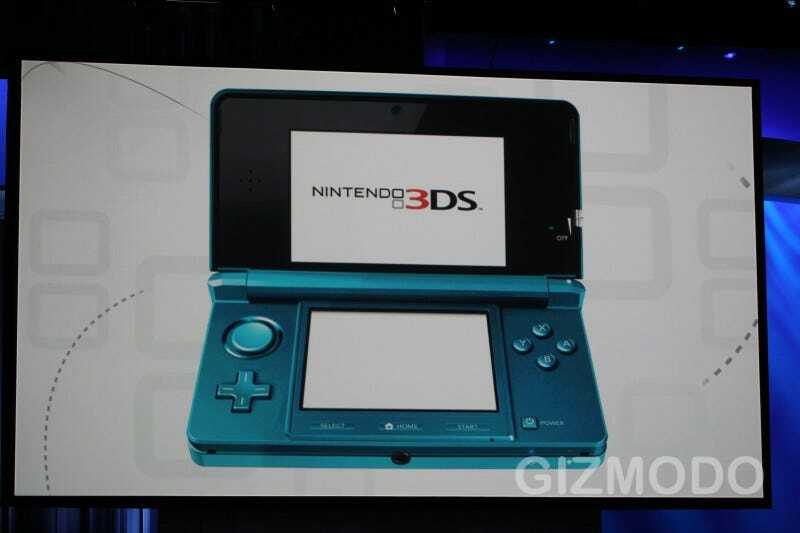 You can actually slide just how 3D you want the 3D screen with a dimmer-like slider on the right side of the 3DS. That will allow you to fine-tune the amount of 3D you want, as well as adjust for your particular viewing distance. Just like the DS, the bottom screen of the 3DS is a stylus-based touchscreen. The 3DS has Wi-Fi, not cellular 3G or 4G wireless tech. But it works in the background, even caching data for later, so that carrying around your 3DS can unlock things like new levels and characters in games throughout the day. The 3DS has a top, front facing camera like the DSi. But it also has a dual-lensed, true stereoscopic 3D camera on the back of the case. So it's a 3D camera...but we don't know the resolution of said camera just yet. The 3DS is completely backward compatible with the DS/DSi. The DS Lite, the DSi and the DSi XL all came after the original Nintendo DS, but really, they were mostly just aesthetic redesigns of the same basic DS platform. The 3DS is backward compatible with old DS titles, but it's really a platform all its own that will play games that won't work on older DSs. Nintendo's Kid Icarus and NIntendogs have both been announced for the 3DS. But several major third-party companies will be making games too, including EA (sports), Square Enix (Kingdom Hearts), Capcom (Resident Evil), Ubisoft (Assassin's Creed) and Konami (Metal Gear Solid). But the only game we'll see this week, from what we can tell, is Kid Icarus: Uprising. Just like you can't really understand the Wii without trying one out for yourself, we think the 3DS is a see-to-understand technology. Even with all the photos from this week, this system will justify a trip to a brick-and-mortar store. ...without a release date or price. Nintendo hasn't said when the 3DS will hit the stores, although it's looking unlikely that it will be available this year. Prices are also unannounced, but should be in the $200 to $250 range.